It’s hard to explain how I’ve been feeling about life lately. Since we plan to move away from Spokane this summer, I have been wanting to make the most of the time that I have with people who have consistently been in my life these past two years that I have lived out here. We’ve gained so many incredible friends that I know will continue to be in our lives for many years to come. While truly wanting to make the most of this time, I also find myself pulling away from community. I haven’t wanted to continue building these deep relationships that will only make it harder to leave this place that has been our home. I’m sure many of you can relate with how difficult it is to have multiple places that feel like home. Another reason that I’ve been pulling away from community is because sometimes it’s easier to go about your daily life not having to think about anybody else. As I’ve been sick the past couple weeks I haven’t really wanted to deal with talking to anybody – it’s just way easier to lay in my bed on a gloomy day and focus on what’s going on in the lives of the people in my TV shows on Netflix. Yes, I know that’s a shallow and unfulfilling way to live, but I’m just being honest. Sometimes living in community makes life more difficult because you need to give out more of your time, resources, and heart as you care for others. You need to be vulnerable about how you’re really doing and it’s often easier to act like everything is okay and not bring up all of the emotions that you don’t want to feel. As hard as living in community can be sometimes, it is the only way to truly experience this life that we’ve been given. We are meant to live in community and to share life with the people around us. Although sitting around caring only for yourself may seem easier, it is no way to live. As you open up to the people around you, you can experience greater joys and you feel loved and cared for for who you really are. There is no need to hide who you actually are, but you can lay all your flaws out on the table and see them covered with grace and acceptance. We’ve been back in Spokane for about a month now and it really has been filled with great times. We have been able to take trips to visit so many beautiful places around us. I want to spend as much time in nature as I can while we are in this beautiful part of the country. We’re so blessed by the friends that we’ve made here and have loved being with them again. I’m trying so hard not to hide from community but to make the most of it in the coming months. I guess part of the reason that I’m blogging about this is so that my desire to hide is out there and I’ll actually have to be intentional about not running away from community. Our community through Moody and our church have been some of the truest examples of community that I’ve ever experienced and I want to continue to learn and grow with these wonderful people God has put in our lives! Things have been really great between Joe and I. I’m honestly overwhelmed most of the time by how thankful I am that I have such a great husband. I cannot imagine anybody loving me more or better than Joe does. He supports me and encourages me in so many ways. He is always leading me toward Jesus’ truth and grace. I love him a lot and am so thankful to be doing life with him forever! I have felt discouraged lately because I have only been working 16 hours a week right now and it is hard to find another job since we will be leaving this summer – same goes for Joe finding a job. Especially since I am done with school, I have been getting kind of bored without more work. God did provide us with some jobs this week though. I got a second nannying job but only for about five hours a week. But at least that’s something to keep me a little busier each week. And Joe got a job where he will be coaching kids sports camps for dodgeball, basketball, and soccer. It is perfect for him and he will have so much fun! But I have been learning to trust more that God knows what we need and will provide! So this blogpost is just a bunch of random thoughts about what’s been on my heart and how we’re doing lately. I haven’t blogged in a while so I wanted to fill some of you in that we don’t get to talk to super regularly! It’s not really a post with a great ending that shows I’ve beat this whole desire to run away from community, but I’m just kind of sharing right where we are at and what I am currently working through. Hopefully I’ll be blogging more from now on! Here are a few pictures from this past month in Washington. Love you all! 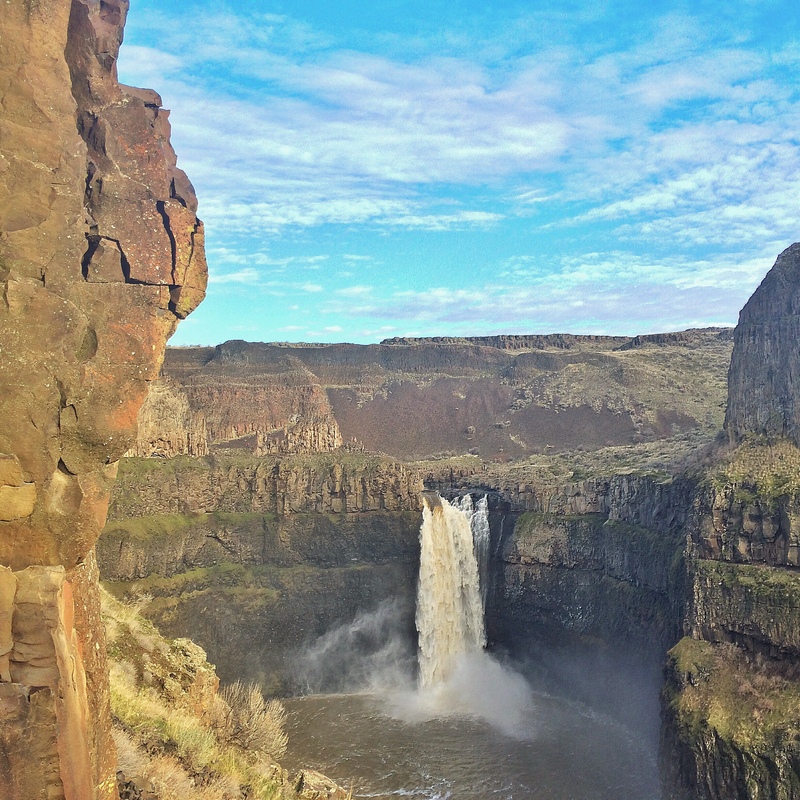 A day trip we took to Palouse Falls with a group of dear friends. 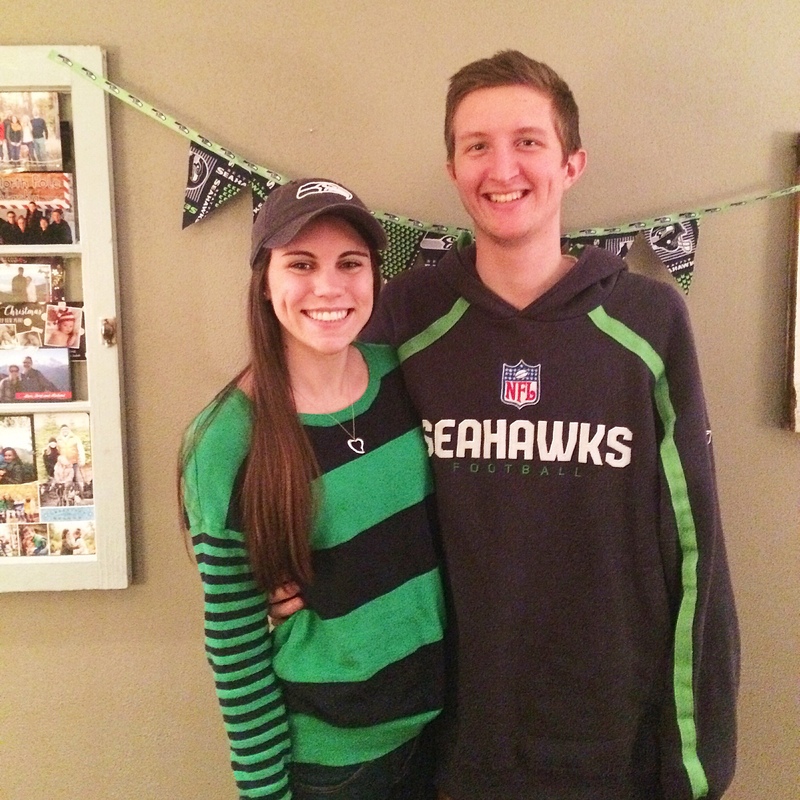 Cheering on the Seahawks as they played in the Super Bowl! 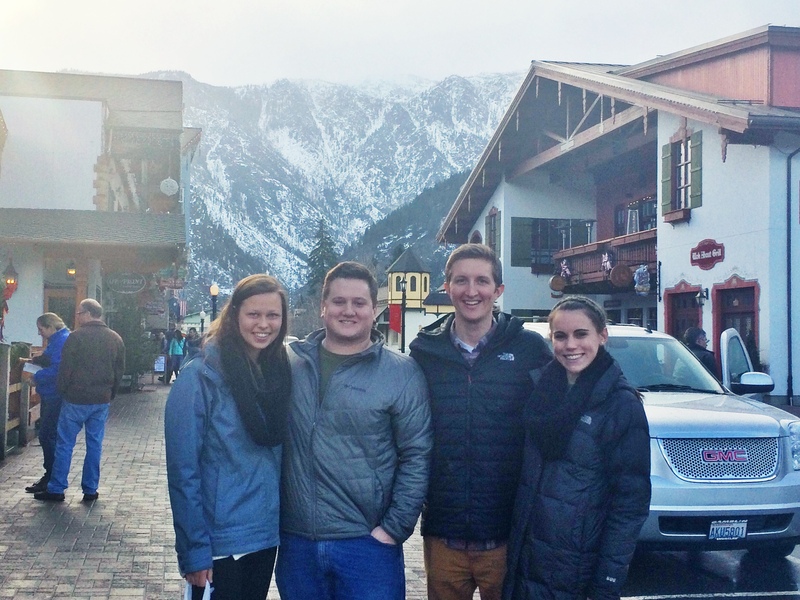 Another day trip we took to Leavenworth – which is a little German town in the middle of Washington. Dede and Taylor our two of our very best friends here, so it was lots of fun! 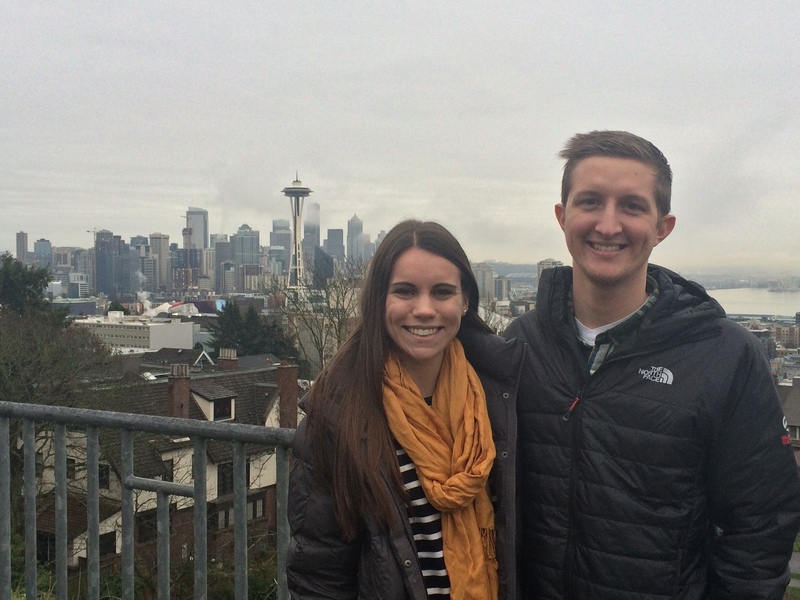 Joe and I took a weekend trip to Seattle. We had so much fun exploring the city together!